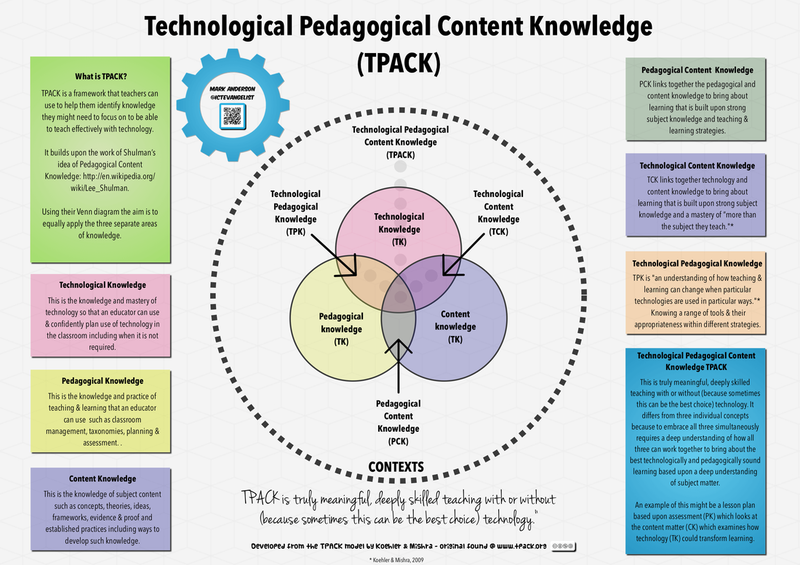 Technological Pedagogical And Content Knowledge (TPACK) is a framework teachers can use to help them consider how their knowledge domains intersect in order to effectively teach and engage students with technology. The approach looks at what teachers know (content knowledge), how they teach (pedagogical knowledge), and how they use technology to impact student learning. Content = What concepts or skills am I teaching? Pedagogical = How can I teach these concepts or skills most effectively? Should I use problem-based learning or pair-share, etc.? Technological = What technology can I use to support instruction? PK = Knowledge of instructional strategies like problem-based learning and pair-share. PCK = Knowledge of how to effectively engage students by considering learning styles and so on. TK = Knowledge of technological tools which consider quality of content. 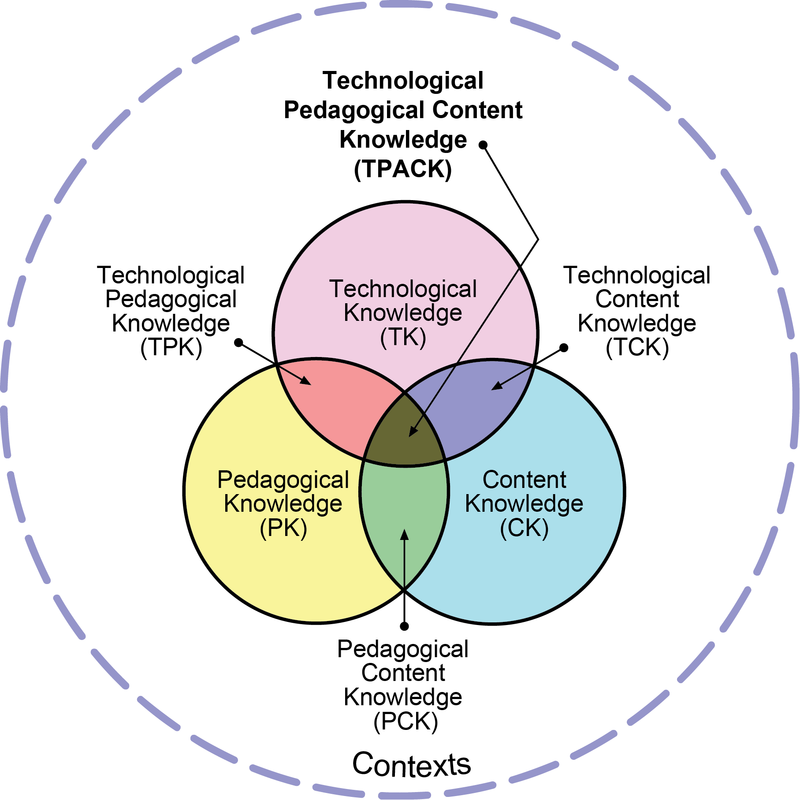 TCK = Knowledge of how technology is used in a subject area. TPK = Knowledge of how to choose and manage technology. 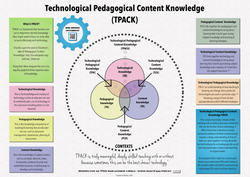 TPACK = Knowledge of how tools can impact students more deeply and directly. Watch to learn more about TPACK in the video above.